The Pacific Connector may export fracked natural gas to Asia. Last month, we told you about PG&E's involvement in bringing large amounts of fracked natural gas to Northern California (see "The Bay Area Gets Fracked," 7/13/11). "Fracking," you might remember, is the controversial process of shooting thousands of gallons of toxic chemicals and water into the earth so as to fracture underground shale deposits and release otherwise impossible-to-get natural gas. Fracking has spurred a natural-gas boom in North America, and it's threatening to become one of the most serious environmental problems nationwide. Now it appears that Pacific Gas & Electric Company, which portrays itself as a "green" utility, is involved in a project that promises to not only ratchet up the rapid growth of fracking, but also threatens to raise the price of natural gas in the United States, possibly even doubling or tripling it. Such a price hike would lead to higher utility bills for Bay Area homeowners and renters, while driving up the cost of doing business in California and throughout the country. The proposed natural gas scheme involves sending fracked gas from Wyoming and Colorado, via a pipeline that PG&E is a partner in, to Oregon for export to Asia. Currently, there's high demand for inexpensive fossil fuel, particularly in China and Japan. The natural gas terminal in Coos Bay, Oregon, which is co-owned by PG&E, coupled with another potential one on the Oregon Coast, plus one in British Columbia and two on the Gulf Coast, promise to greatly expand US natural gas exports. Environmentalists and industry analysts alike say such a development would have two major impacts: It would drive up demand for fracked natural gas and likely fuel the spread of fracking throughout the nation; and it would likely raise the price of natural gas sold in the United States. Indeed, one of the biggest opponents of the plan is the Industrial Energy Consumers of America, a national trade group that represents large companies that use lots of energy. "This is going to cause higher prices for natural gas and electricity," said Paul Cicio, president of the trade group. "It's just that simple." The plan involves two pipelines. As Eco Watch reported last month, the Ruby Pipeline is a massive, 680-mile-long pipe that is bringing fracked natural gas from Wyoming and Colorado to Northern California through the Oregon border town of Malin. PG&E is a partner in the $3.5 billion project. It opened last month, and it's bringing 1.5 billion cubic feet of fracked natural gas per day to the West Coast. The other pipeline is the Pacific Connector, which would meet the Ruby Pipeline in Malin and send natural gas to the Coos Bay terminal, where it would be cooled into a liquid form and exported on giant tanker ships to Asia. Currently, domestic natural gas sells for about $4 a unit (per million BTU), but the spot price for natural gas in Japan is about $11 to $12. Industrial energy users, as a result, say that increased exports would raise domestic gas prices to mirror what natural gas is sold for internationally. Cicio, of the Industrial Energy Users of America, said that higher natural gas prices, in turn, not only would make it tougher for US manufacturers to compete, but would drive up the price of products made from natural gas — such as plastics and fertilizer. "Our competitiveness is dependent on the price of natural gas," he said. "And this is going to damage our ability to keep jobs here." A surge in natural gas prices, however, would probably not harm PG&E's bottom line. Why? The California Public Utilities Commission likely would allow PG&E to pass the higher costs of natural gas to consumers, even though the public utility had played a pivotal role in raising those costs, notes Rory Cox, senior energy consultant for the San Francisco-based environmental group Pacific Environment. Cox keeps close tabs on PG&E and its natural gas dealings. In short, the natural gas scheme promises to be a financial win-win-win for PG&E. 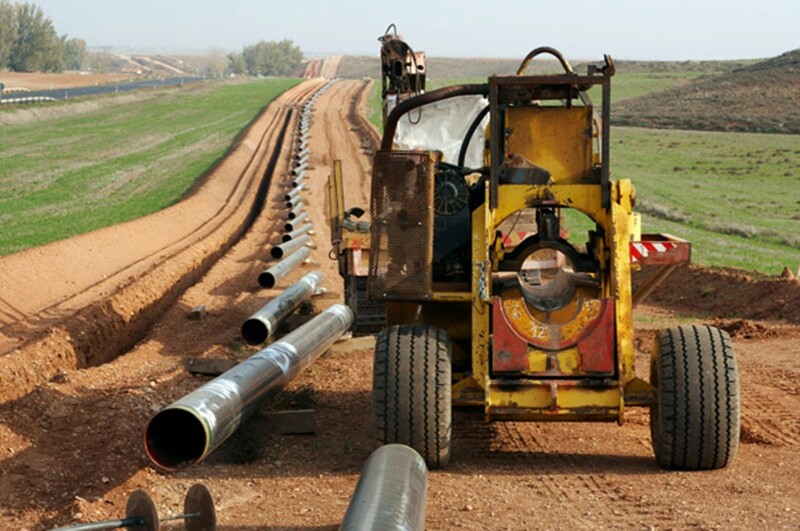 As a partner in the two pipelines, the utility gets to profit on the natural gas that flows through the pipes. Then its profits grow fatter when the price of that gas increases. And finally, it won't have to worry about paying more for natural gas because its customers will foot the bill. "There's zero risk," Cox noted. But the costs to the environment will likely be great. Environmentalists are particularly concerned about fracked natural gas not only because of the toxins being shot into the earth, but because the process — known as hydraulic fracturing — was exempted from most federal environmental laws, including the Safe Drinking Water Act, during the Bush administration. In addition, there's growing evidence that the toxic chemicals used in fracking are poisoning groundwater, as is the buried methane gas that escapes when a gas well is fracked. Also, the toxic soup that flows back to the surface after being shot into the ground is raising concerns because it's diverted into open pits and evaporated directly into the air. Some recent studies, in fact, have concluded that fracked natural gas production is as bad — or worse — for the environment as coal. Meanwhile, exporting natural gas will generate more greenhouse emissions because of the massive amounts of energy used to cool natural gas to a liquid form and then ship it overseas. PG&E officials did not return phone calls for comment on this story. The utility also would not comment on our previous report about the Ruby Pipeline, a project that is both bringing in fracked natural gas from the Rockies and increasing the demand for it. However, the second part of the scheme — the exporting of natural gas — is not yet a done deal. Currently, Coos Bay — known as Jordan Cove — is approved only as an import terminal. But activists in Oregon have long suspected that the owners of Jordan Cove would try to convert it to an export facility because it makes no financial sense to import natural gas. Fracking is a relatively cheap process, in part because there's basically no governmental regulation. Likewise, PG&E watchers have suspected for some time that Jordan Cove and the Pacific Connector pipeline from Coos Bay to Malin were really meant for natural gas exports — not imports. After all, why would you want to import natural gas when the price of domestic gas is so much cheaper? Two years ago, before receiving federal approval for the Pacific Connector, PG&E officials said the utility wanted to import natural gas in case domestic prices suddenly surged — a scenario that now seems highly unlikely considering the rapid growth of fracking. Environmentalists also have opposed both Jordan Cove, because it was built on the pristine Oregon coastline, and the Pacific Connector, because the right-of-way for the 230-mile-long pipe would be as wide as an 8-lane freeway, requiring the clear-cutting of forests and the destruction of wildlife habitat throughout Southern Oregon. PG&E officials have yet to say publicly whether they support turning Jordan Cove into an export facility supplied from gas piped through the Pacific Connector, but the utility's two main partners — Veresen Inc. and Williams Companies Northwest Pipeline GP — have recently expressed interest in requesting federal approval to do so.